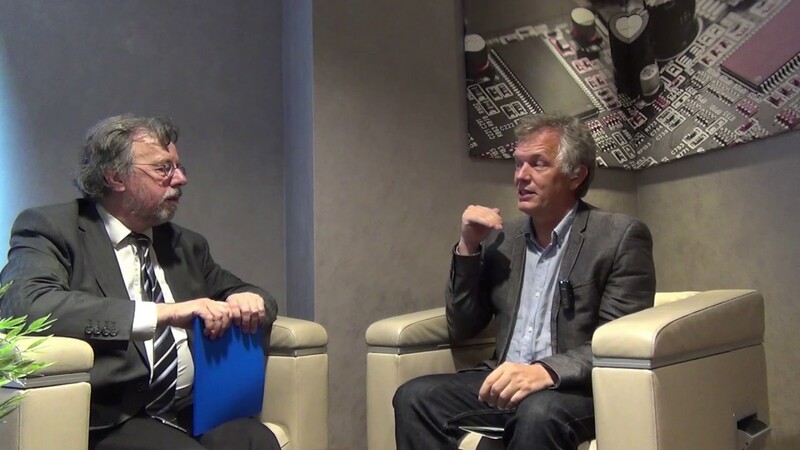 The ETP4HPC Workshop at ISC'17 in Frankfurt, Germany offered us a chance to interview Jean-Pierre Panziera, the ETP4HPC Chairman. ETP4HPC is an association led by the European HPC industry. It is gathering all the stakeholders in the European HPC ecosystem with the goal of developing a worldclass HPC supply chain. ETP4HPC's focus is to develop the HPC technology in Europe. The association interacts with the European Commission as a technical advisory board. ETP4HPC has signed a public-private partnership contract with the European Commission which started at the beginning of the Horizon2020 Work Programme. The contract is ongoing since the end of 2013. ETP4HPC is defining the roadmap and how the investments could be used to develop the European ecosystem, and more specifically the European technology. ETP4HPC is involved in the writing of the Strategic Research Agenda (SRA) which is also accessible on the web. The current release is already two years old, dating from 2015. ETP4HPC is now getting ready for the next release which will come out in September 2017. The SRA is putting together all the HPC expertise in the different areas, whether one talks about users, developers, the HPC data centres, or the industrial technology developers, to define the technology roadmap. This is used as a basis by the European Commission for all the Calls that are coming out. This is the reason to organize the ETP4HPC Workshop about the extreme-scale demonstrators. A new call is coming up about the European micro-processor. All of this is part of the ETP4HPC action to define the roadmap, the actions, and the different programmes that are defined by the European Commission. The ETP4HPC Workshop addresses the extreme-scale demonstrators which are meant to be prototypes of what would be the pre-exascale systems, being part of the EuroHPC agreement. In March 2017, seven countries in Rome signed in to this initiative. Meanwhile, Belgium and Slovenia also joined. These countries will work together to provide to Europe some substantial HPC resources in the form of two pre-exascale systems in 2020-2021 and another two exascale systems in 2022-2023. The extreme-scale demonstrators are a preview of what these systems would be. ETP4HPC already had several workshop discussions with users, developers, and different research projects that have been launched by the European Commission. At the ISC'17 Workshop, ETP4HPC completed the picture with the input from the industry which are the end users, not from the scientific or academic side but from the engineering side, how engineers use HPC and what their needs are. At the workshop there were representatives from different types of industry, e.g., pharmaceutical and energy companies, and manufacturing as well. All these people are giving ETP4HPC input about their requirements, about what their needs are going to be in a few years from now when there will be a market of new exascale systems. People from outside of Europe are interested in what is happening and one question they ask is what the system will look like in 2023, we wanted to know. It will be big, that is one thing for sure, Jean-Pierre Panziera smiled. No matter how the technology evolves - there are still a few cycles within Moore's Law concerning the processor-form that is used to make the processors tweak a few more times - but the end is near and one can see the progression slowing down. When one looks at the systems in 2022-2023 with the requirements in terms of performance, they will be bigger than today and use more energy. The real challenge within that envelope is that the systems may grow a little bit - the most advantageous aim is a growth by factor 2 but not a factor of 10 or 100 - but one needs that envelope to provide 50 times more performance than today. This is quite a challenge, to reach a factor of 25. This raises a lot of questions and that is where all the efforts are going to. In the ETP4HPC ISC'17 Workshop, the participants were looking at the usage of the systems for industrial but also scientific and academic purposes. How do the European initiatives compare to the international initiatives in the United States, Japan, and China, we asked. China is an interesting case because it has two systems at the top of the TOP500 list. From a technology standpoint, this is a great achievement. The problem that Jean-Pierre Panziera sees, and this is different from what ETP4HPC is doing in Europe, is really to focus more on applications rather than building a system that will be at the exaflop and performing very well on the Linpack benchmark but probably very poorly on the applications. ETP4HPC wants to start from the other end and look at the applications and requirements. The right metric might not be HPL which stands for High Performance Linpack but something more along the line of HPCG, which stands for High Performance Conjugate Gradients and is mostly stressing the memory bandwidth and the way you access data. Computing in itself is very important but one computes on data. When one looks at the system architecture, what is most important are the memory access and how you store the data, the disk access, the storage, and how one interacts with that data. In that respect, the system that ETP4HPC has in mind and that Jean-Pierre Panziera sees as the exascale system in Europe will be quite different from what we have seen in the TOP500 with, for example, the system in China. When one looks at what we have seen in Japan in the public description of the exascale programme, developed by RIKEN and implemented by Fujitsu, they have taken a very similar approach. They have taken a look at the range of applications that they foresee to run in that time frame and they selected one area that is of interest to them. They are focusing on that part. In the United States, there was the announcement of the six projects that will be run in parallel. One can expect that at least a couple of them will turn out to be real exascale systems. There is an ambitious programme in Europe, the Japanese are focusing on one aspect, the United States has six projects, Europe may have a few for the pre-exascale systems and the preview of the extreme-scale demonstrators. Jean-Pierre Panziera thinks there will be between two or four projects, so Europe is between Japan and the United States. Jean-Pierre Panziera also showed the ETP4HPC leaflet which can equally be downloaded from the website and which is describing what the association is doing. Jean-Pierre Panziera has been appointed as the new ETP4HPC Chairman since less than a year but the association has been around since 2011. Currently, there are about 80 members. The exact number is 79 but there are a couple of people knocking on the door and some of the small companies may be leaving. ETP4HPC is slowly growing and there is a lot of interest. The association has representatives from the industry - Jean-Pierre Panziera, besides being the ETP4HPC Chairman - is working at Atos/Bull as the CTO for HPC. ETP4HPC also has representatives from the users' and developers' side. The Centres of Excellence are also part of the association. ETP4HPC really wants to be instrumental in the development of the exascale programme with the Strategic Research Agenda that is indicating where one should go and which technology one should invest in and by organizing workshops such as at ISC'17.